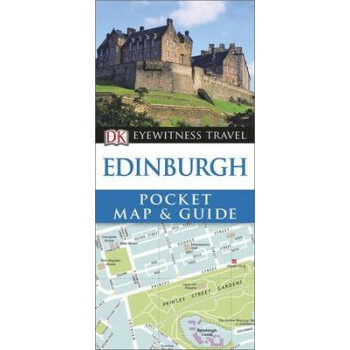 DK Eyewitness Pocket Map & Guide: Edinburgh will lead you straight to the best of Edinburgh. It's packed with beautiful illustrations and coverage of all the major areas and sights from museums to parks and markets. There's comprehensive area-by-area information and referencing, plus recommendations for the best hotels, restaurants, bars, shops, galleries and other cultural attractions. You won't miss a thing on your trip as this handy travel guide includes an ingenious and easy-to-use fold-out map, ensuring you'll never get lost when exploring the sights. The DK Eyewitness Pocket Map & Guide: Edinburgh is your essential guide and serves as a perfect companion to the Eyewitness travel guide. Plan your perfect day out in Edinburgh with the DK Eyewitness Pocket Map & Guide.